It’s somewhat undiplomatic to say so, but ambassadors and high commissioners (the term used with respect to the Commonwealth of Nations) ain’t what they used to be, to borrow a line from the Duke Ellington song. 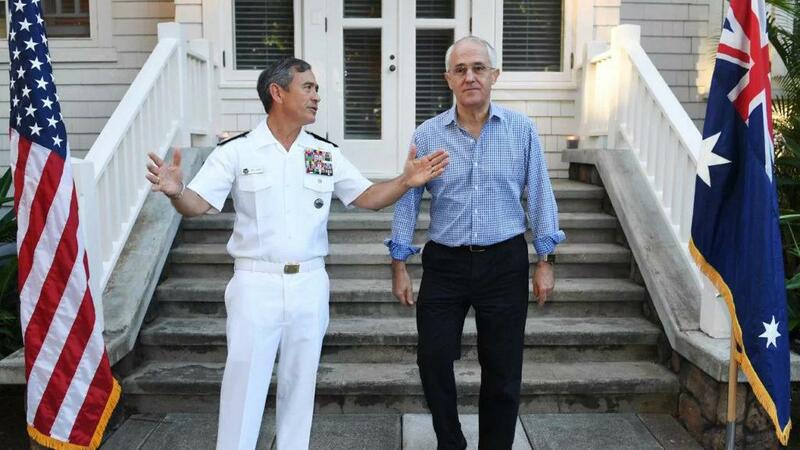 Sure, it is disappointing that Donald Trump has withdrawn the nomination of Harry Harris to be US ambassador to Australia, and proposed instead that he be US ambassador to South Korea. But if Harris is as good as many say, then it’s probably in our national interest that he go to Seoul. The Australian-American alliance is in good shape and this is likely to remain the case if Labor defeats the Coalition at the next election. Moreover, the communication changes of recent years mean that political leaders readily can contact their international counterparts direct, without depending on the representations of a diplomat. Australia’s national security is dependent on stability on the Korean peninsula and in the area of the South China Sea. It’s more important that the US has the best possible ambassador in South Korea than that Trump stood by his decision to send Harris to Canberra. As to be expected in these times, Trump’s decision was followed by much comment. Kevin Rudd went on the ABC’s 7.30, where he was interviewed by presenter Kumi Taguchi. Throwing the switch to hyperbole, the former Labor prime minister said: “Australia, from President Trump’s perspective, is a second-class ally.” This is a gross exaggeration. Certainly the US has not had an ambassador in Canberra since John Berry left the position 18 months ago. This partly reflects what appears to be the chaotic nature of the current White House. Yet it should be remembered that these positions are sometimes vacant. For example, there was an 18-month gap between February 2005 when Tom Schieffer left the post and August 2006 when Robert McCallum presented his credentials. Former Labor leader and soon to be West Australian governor Kim Beazley also weighed in. He told Fairfax Media a “Never Trump” advocate should be appointed ambassador to Australia, meaning one of those who supported the Republican administrations of George H. Bush and George W. Bush but who declared they would never back a Trump administration. Beazley usually talks a lot of sense. However, if the position of US ambassador is so important because the person holding it has direct access to the White House, it’s not at all clear why an avowed and unrepentant “Never Trump” in Canberra would be in Australia’s interest. And there were the academics. When it became evident that Trump had defeated Hillary Clinton in the November 2016 presidential election, Simon Jackman appeared on Sky News. He is head of the United States Studies Centre at the University of Sydney. In response to a question from Mark Latham, Jackman said no one at his centre expected that Trump would prevail over Clinton. Asked how many Trump supporters there would be at the centre, Jackman replied with a round figure. Namely, zero. It came as no surprise, then, that Ashley Townshend, director of foreign policy and defence at the US Studies Centre, weighed into the debate by bagging the American President. Trump was perfectly entitled to draw attention to the fact the US spends significantly more on defence, on a per capita basis, than the members of NATO. Also, whatever may have been the disagreements between the President and Malcolm Turnbull more than a year ago concerning the US accepting some of the asylum-seekers held on Manus Island and Nauru, the relationship between the two leaders has been just fine since then. In time, the new US ambassador will be appointed to Australia. In the meantime James Carouso, the US charge d’affaires in Canberra, who is acting ambassador, will continue to do a good job. This is well understood on both sides of mainstream Australian politics. Australia can do without a US ambassador, for a while at least. Better no one in the job than a poor performer. Through the years, US ambassadors to Australia have been of varying quality — some good, some mediocre. But no one was a counterproductive as Ed Clark, who held the position from 1965 to 1967. The Texan Clark, an appointee of the fellow Texan Lyndon Johnson, was ambassador when what is now called the Naval Communication Station Harold E. Holt (near Exmouth in Western Australia) was opened in September 1967. This intelligence facility has been central for decades to the national security of Australia, the US and its other allies. Yet, presiding at the opening with Australian prime minister Harold Holt, Clark attempted humour. Clark joked: “Our friendly Australian landlords haven’t yet demanded their rent, but we Americans will always be good tenants … we pay our bills promptly”, then he handed Holt “one peppercorn” covering payment “in full for the first year’s rent”. Like many an attempt at humour, Clark’s peppercorn remark was picked up by the anti-American left and was used for years as an (alleged) example of Australia’s subservience to the US. Sometimes it helps that ambassadors are not as significant as they were a half-century ago.